This is an amazing deal!!! 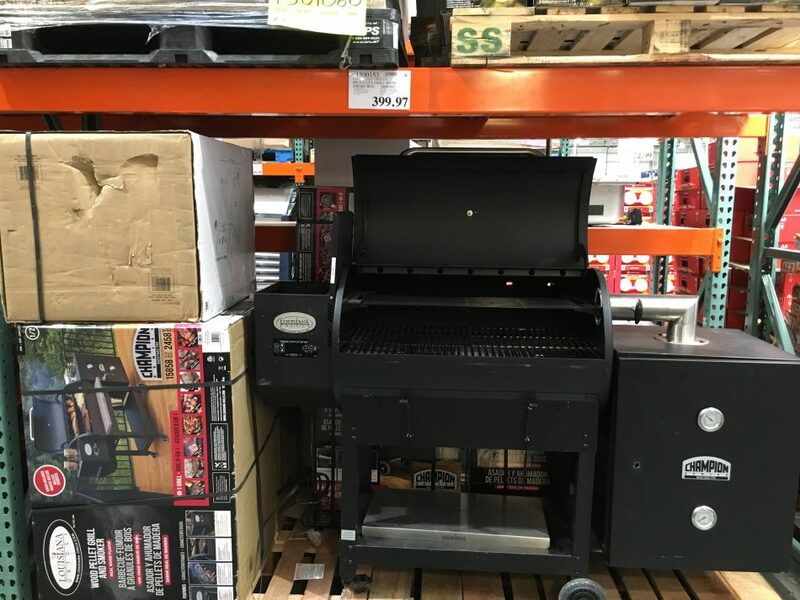 These were $899 originally at Costco AND come with the cold smoker box and a cover and a fold-out stainless steel shelf. 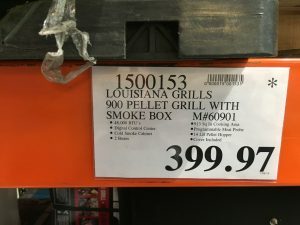 Just the basic smoker itself (without cold smoker box, shelf, and cover) sells for $899 currently on the Louisiana Grills web site. If you bought all the components individually they would easily cost you over $1300 or $1400. 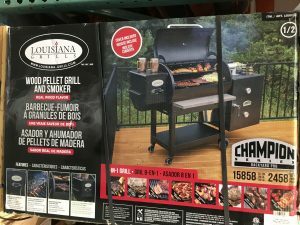 We own this smoker (purchased at $599.99 at Costco) and love it. Very good build quality. Bigger, heavier, hotter: own a world class BBQ in your own backyard. The LG900 presents the same game-changing features as the LG700 integrated with a larger cooking surface. Perfect for larger families and social gatherings, the LG900 bears an easy to clean, 913 square inch cast iron cooking grid. Elevate your BBQ experience with LG’s burn system and slide-plate flame broiler for direct and indirect cooking. 48,000 BTUs. Strengthened with heavy duty steel and a reinforced lid, the LG Series heats up to 600°F with true convection cooking. With eight separate cooking functions, the LG Series will change the way you think about BBQ. Sear or smoke, bake or roast, the LG900 will enhance all of your cooking experiences. Oak Brook, Il. Display, $350.00.